The Everett Police Officer's Association represents over 170 members which includes all of the officers and sergeants on the Everett Police Department. As a not for profit association, we receive no funding from government agencies or tax dollars. We strive to provide assistance to officers in many forms. 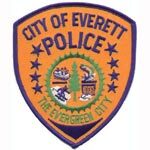 The Everett Police Officer's Association is the proud sponsor/organizer of the Annual Senior (at the Everett Senior Center) Dinner at the City of Everett Senior Center, for over 30 years.The E.P.O.A. also participates in numerous charitable events. Heroes and Helpers in co-operation with Target stores (Shop with a Cop), Safe Place (Hand in Hand, helping with foster kids), Everett (Casino Road) Futbol Academy, EPOA Chaplains Fund (providing vouchers for hotels for domestic violence victims and food), Everett Boys and Girls Club, Washington Law Enforcement Memorial Fund, and other miscellaneous charities. Most importantly, we work hard to protect the benefits, working conditions, training and equipment of our members so they can continue to work hard to protect all of us in the community. The E.P.O.A is not affiliated in any form with the Everett Police Management Association.